Why do I think this will work so well? 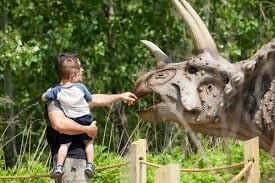 Firstly, in an age where the chosen IP is normally the starting point and the lodestone throughout the development of a new attraction, this familiar, if generic subject is immediately recognisable to its target market and has stood the test of time – there will always be families with children who want that ‘Jurassic Park’ moment, it’s just part of growing up. 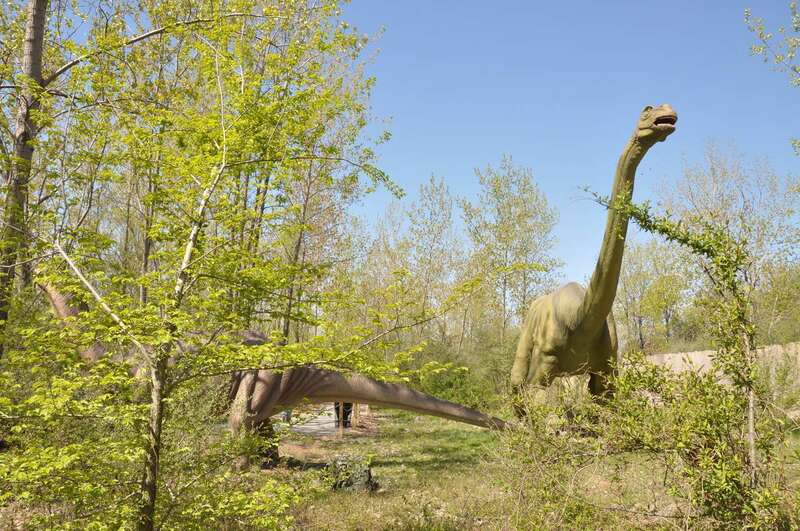 I can remember myself visiting Blackgang Chine on the Isle of Wight when I was about 5 years old and the excitement of walking, at night time through an illuminated forest full (as I remember with the benefit of 50 years distance) of amazing dinosaurs. Those memories, those experiences stay with our visitors and become the kind of things that they want to pass on to their own children. Secondly, Field Station: Dinosaurs has a real sense of place – as Guy Gsell says in a report by The Witchita Eagle: “Kansas is like the birthplace of modern palaeontology, you had your Bone Wars here, your most famous discoverers were here. Palaeontology as a science should resonate with Kansas.” That word, RESONANCE, often a key part of an attraction’s appeal and often too easily overlooked. Having a sense of rightness in its location is a big part of the battle in establishing an attraction in its market place. If the location has resonance with your subject, you can get your visitors to suspend belief and step away from their normal, day to day lives and open themselves up to the magic of the experience that you are giving to them. I love that at Field Station: Dinosaurs it’s a genuinely active experience for the guests, they buy their ‘Discoverers pass’ and become part of the programme. Finally, a word on budgets and tickets. At $6.5 million (€5.5 million, £4.9 million) investment for a 2-3 hour experience, and tickets priced at around $15 for an adult, I’d say that the owners have hit the sweet spot in terms of bangs for bucks – online reviews are pretty good and back this up. There are projects out there spending many times this much on development and achieving far less in terms of delivering a great and memorable visitor experience that I would suggest could be rolled out in locations worldwide. Hats off to Guy Gsell and his team, I hope that the Kansas project matches the success of the New Jersey venture.